As usual we like to keep people updated on how much money our online business generated for the month. For this past December 2015 we were able to earn $46,350 USD in commissions from just one of our most profitable online income streams. All this money was generated selling other peoples products (‘Affiliate Marketing’) and earning a commission from each sale. I want to break this blog post down into each of the different kinds of sales so that we make so that you have a better understanding of how you could also generate this type of income should you decide you wanted to start your own online business from scratch using the Six Figure Mentors training platform and Digital Business System. This is probably the easiest money you will ever make, but let me just say that you will need to build a list of subscribers before this is really powerful for you. We have personally made thousands of dollars just selling mid priced information products that can be instantly accessed or downloaded. No postage, no phone calls, NO HASSLE! For the month of June we were able to sell a total of 120 applications that earned us $2,400 in commissions. We also sold a total of 42 memberships that earned us a total of $5,000 in commissions. With the additional 42 membership sales in December it brings our net number of members we referred to over 320 members that pays us $6,400 passive income from subscription fees. The most premium product that SFM has to offer is there ELITE membership that retails at $2,500 and when sold as an affiliate you earn $1,000 commission per sale. Being an elite member of the SFM is where you can now realistically be in a position to earn enough money to be able to replace your income and start living a digital life. I remember how hard and how many hours I use to work to be able to earn $1,000 working a job, but after investing in our online education we wake up to these kinds of commissions on a regular basis. Having access to the elite masterminds where you learn from the best was invaluable to our business. We were able to sell 12 elite memberships for the month that equates to $12,000 in commissions for this 1 product. 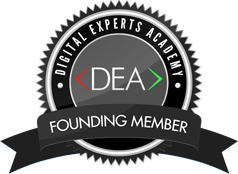 Apart from being affiliates for the Six Figure Mentors we are also affiliates and earn commissions selling premium products from the Digital Experts Academy. The four program levels are: DEA SILVER, DEA GOLD, DEA PLATINUM and DEA BLACK. We were able to sell 4 silver products earning us $2,720 in commissions. We had the privilege of attending this years gold event in Las Vegas, where we learnt from the best in the industry who taught us valuable strategies to take our business to the next level. We still take advantage of the Private 1 on 1 Skype calls with our mentors who have been running a successful online business for many years now. It was very important for us to have mentors who were getting results that we wanted to achieve. We sold 2 gold memberships for the month earning us $5,280. Platinum membership costs $8,800 at the discounted price were affiliates earn 40% commission per sale. We sold 2 platinum memberships for the month earning us $7,040 in commissions. We were also able to attend the latest black retreat held at the 5 star resort Bahia Principal in Mexico. The masterminds were some of the most powerful and influential experiences I have ever been a part of. You discover exactly what your 'WHY' is which you can as a compass to create your perfect life and a sustainable business. It was after purchasing the Black membership ourselves and surrounding ourself with other successful digital entrepreneurs we have been able to transition from online newbies into multiple six figure earners. We sold 1 black memberships for the month earning us $5,800. In addition to the above sales we also earn 10% commissions on any DEA sales that the members we referred sell & $10 for there new members monthly subscription fees which make up the remainder of the sales for the month. This is the best type of passive income because you are getting paid when people you have referred get sales themselves 🙂 It totalled over $2000 in our pocket from other peoples success. As you can see we were able earn 406 separate commissions in total selling a variety of different products ranging from $10 up to $5,800 per sale. In 2015 alone, as proud students of the Six Figure Mentors and Digital Experts Academy they paid us over $400,000 in commissions for referring them customers to the same education we used to get our start online. So if your think you need your own products to create your very own multiple six figure business.. think again!